What is one universal truth among nonprofit development staff? 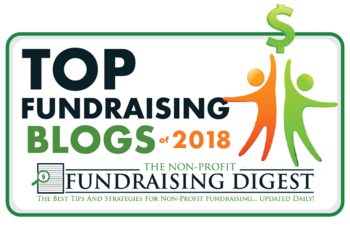 You want your board members to do more fundraising! You may be spending LOTS of time and energy helping board members prepare to do this. Maybe providing talking points, background info, fundraising training workshops, even an elevator pitch printed on a wallet-sized card they can whip out at a moment’s notice. You may also try to get your board members to share stories because storytelling raises more money. But the single most impactful story your board members can tell is much easier than everything listed above. It’s a story they already know. The one that for each board member answers the question, “what I am doing here?” It’s the story of WHY they are involved, personally, with your organization. This story matters a lot in fundraising situations. Yet we often overlook it in our rush to learn more about our prospect, or to tell her all about our organization’s great activities and accomplishments. Major gift fundraising is a person-to-person business. People give to people. Especially in the early stages of getting to know a donor, establishing a personal connection is key. Sharing personal motivations is a great way to start building that connection. Example: you and your board member, Anne, arrange a coffee meeting with a friend of Anne’s whom she has introduced to the organization. No one will ask for money at this meeting. It will be very natural though, for everyone (including you) to talk about your personal connection to the mission and why you have chosen to spend your time on it. At this early stage, this kind of sharing has a much greater impact on your prospect (Anne’s friend) than any list of services or outcome data. This is not a story your board members have to study or memorize—they already know it! This simple act of sharing is an easy entry point into fundraising for hesitant board members. It’s fun, takes little preparation, they will have success quickly and their confidence will grow. Despite our efforts at education, many nonprofit board members still believe they are only helping with fundraising if they are asking for money. Not true! Impress upon your board members that sharing their story is absolutely a part of fundraising cycle—think cultivation! Sharing stories takes practice. Even though they know their stories intellectually, your board members probably need practice telling it. By encouraging them to share their story FIRST, in every possible interaction with donors/prospects, you are guaranteeing them that critical practice. Their story will grow tighter, and their confidence in telling it will increase. For board members who need a little more prompting, keep an eye out later this summer for my short list of key ingredients for a dynamite personal involvement story. What is your experience with board members sharing their stories? Is your board comfortable with this or other aspects of fundraising? Please share your thoughts or experience in the Comments box below!